THE MORNING LINE ‣ If he were to return to Nightly News, how does NBC think a Brian Williams/Nancy Snyderman segment would work—the optics of a news reader who can't be bothered to stick to the facts and a doctor exposed to ebola who can't be bothered to honor quarantine? music ‣ The Swedish indie rock band The Amazing are so, so good, so we're psyched for their new album, out February 17, called Picture You. Listen to the title cut here. cabaret ‣ The timeless, ageless and endlessly graceful voice and presence of Christine Andreas is the perfect accompaniment to Valentine's Day, or any of the other 364 days. She's performing February 13 and 14 at 54 Below. 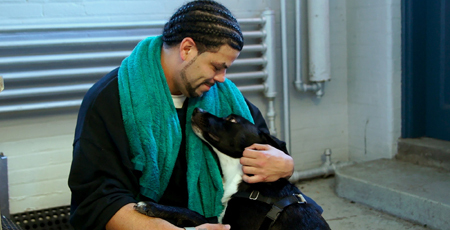 movie ‣ Dogs on the Inside is a documentary about the bond that forms between prison inmates and stray dogs at one Massachusetts correction facility. food ‣ Yesterday, Luis Arce Mota opened La Contenta, 102 Norfolk [Riv/Delancey] 212.432.4180, featuring chile-centric Mexican cooking, plus plenty of agave cocktails. art ‣ Opening February 22 at Lisa Cooley, 107 Norfolk [Riv/Delancey] 212.680.0564, (a stone's throw from La Contenta), Suite, the first U.S. solo show of Matthew Darbyshire. There's no way to encapsulate what the artist is up to in a couple of sentences. Suffice it to say there are sculptural shapes, refracted meanings, and cats. comics ‣ At Jack Hanley, 327 Broome [Chrystie/Bowery] 646.918.6824, starting tomorrow, a tribute to the witty cartoonist and illustrator, George Carlson (1887-1962). According to Paul Tumey, "In the year 8113 A.D., the most remembered cartoonist of our time may not be any of our currently revered comics creators. As incredible as it may seem, long after the last comic books of our time have crumpled into dust, the cartoonist of our era that People of The Future will dig (perhaps literally) could be a guy named George Carlson — an under-appreciated, largely overlooked cartoonist, illustrator, game designer, and graphic artist extraordinaire." 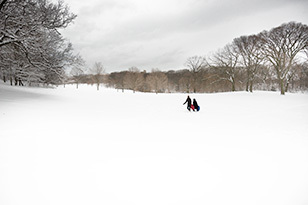 book ‣ The authors of The City Lost and Found: Capturing New York, Chicago, and Los Angeles, 1960-1980, discuss their project at the NYPL, Wednesday, February 18, 6-8pm.